The following describes a way of annotating video with GPS (location) information (GPS and Video synchronization). 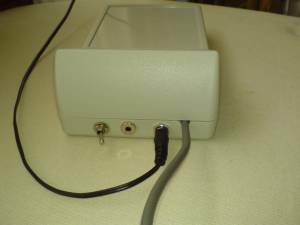 It uses the video camera audio channel to store positioning information that is generated by a custom device described below. Video GPS annotation is performed without an external PC/laptop/GPS recorder etc. The price to construct this is in the range of 50€, GPS included. You have an electronic road map on your PC, you click two points on a road and you can see a video of the course between those two points! That would be a great trip advisor. I started working on this idea in 2005, then left home for my military service. Since then google and microsoft already started to provide this service called 'Street level zoom' on their e-map web pages. (http://maps.google.com, http://preview.local.live.com/). But probably they will never cover the whole world road network. Moreover using this device anyone can build his own "Street Level" electronic map, containing his own memories and experiences and "drive" again the same roads after years!. The obvious way to record GPS information this is to connect both a gps device and a video camera to a PC, and record the two signals simultaneously. That way there will be a correspondance between gps positioning and time position in a video file. Another solution might be to synchronize GPS with video offline: record gps information separately and combine it afterwards with a video file based on their timestamp, supposing the video camera has an accurate enough clock. Since I wanted to use this device on a motorcycle, I devised something more compact: convert data coming from a GPS device into audio signal. The latter can then be fed to the 'audio in' connection of a video camera and be recorded as one of the two available audio channels (DV video cameras support 2 or 4 channels). That way all video recorded will have an equivalent synchronized GPS information on the audio channel. 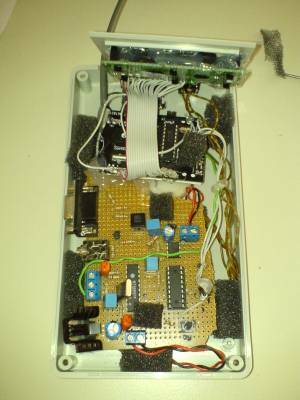 I used a cheap serial (RS-232) Sirf-II GPS (Model:AQ-MAX aq-300, ebay price: about 15€) to supply NMEA data. I chose to generate simple DTMF pulses since it's a cheap, very easy and noise-proof way to transmit data. 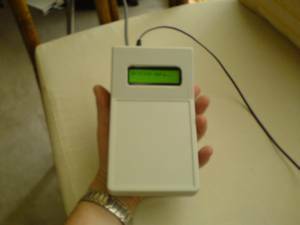 DTMF pulses are generated by an MT8880 tranceiver chip (only the transmitter part is used). 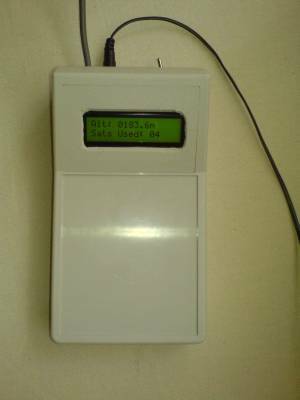 Everything is been controled by a PICAXE 18X which also outputs GPS readings to an LCD screen. • Create custom dtmf decoding/video mapping software. Almost done. • Create a gym bicycle that can navigate inside virtual-but-real streets! 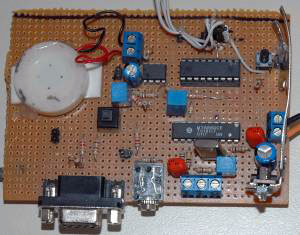 Picaxe chips are great: easy, versatile and cheap, they don't need a programmer, but have their limitations. It was tricky to decode NMEA messages since they are variable length and picaxe couldn't read the entire line in memory or in its variables. The following code copes (hopefuly) for all possible message length variations. The memory gets filled by data which are then fed to the DTMF chip. 'SYMBOL RS_p   = 4 ' Register-select pin (0=data). 'SYMBOL RW_p   = 5 ' Read/Write pin (0=write). SYMBOL CS_p   = 6 ' Chip-select pin (0=active). SYMBOL digit  = b2 'digits to dial. 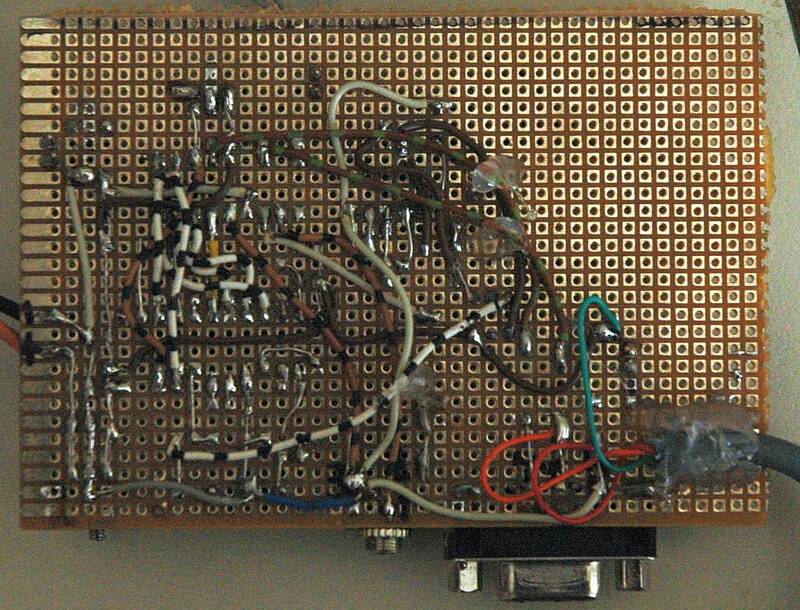 'let pins = 255  ' All pins high to deselect MT8880. let pins = %00011011 ' Set up CRA, next write to CRB. 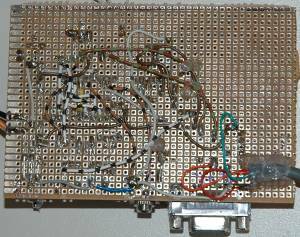 let pins = %00010000 ' Clear register B; ready to send DTMF. goto sataltinv 'how tall is everest again? if b1=46 then LP		'. high CS_p ' Done with write. pause 250 ' Wait to dial next digit. DTMF pause. After having the video file (.avi) with the dtmf on the audio channel the following matlab code can be used to extract DTMF and make a virtual drive. Decode DTMF from audio (.wav) file (extracted from .avi) dtmfdec.m. You also need dtmfparse.m (called from dtmfdec.m). Running this will "drive" you in the video at constant driving speed of your choosing, regardless of the vehicle (camera) speed at the time of the filming. drive.m Speed can be set in variable curspeed (line 105) and is in m/s. 4.1 m/s =~ 15Km/h.